I teach people how to ride a bike. I teach children and adults. Many adults did not learn how to ride a bicycle when they were children. As an adult, it can be difficult to learn this skill. I provide one-on-one and small group instruction to adults and children in a multi-step process. Most adults can learn to ride a bicycle within a few hours. I do not recommend using training wheels on kids' bikes. Balance bikes without pedals are a much better option and a much easier transition to bikes with pedals. The first step is to learn how to balance on a bicycle. Pedals are removed from the bike and the seat is lowered so that both feet can easily touch the ground. Students first learn how to stop gradually. Then, on a slight slope, students learn to coast, with feet held off the ground, for short distances. Once this skill is learned, which is the hardest part of learning to ride a bicycle, pedals are put back on the bicycle. Next students learn to push of using one pedal in the power position. Students then learn more advanced skills. I provide private and small group lessons. Call or email for details, 703-328-9619 or bikecommuter@gmail.com. You can also check with Washington Area Bicyclists Association (WABA) and REI, both of which hold several Learn to Ride (L2R) group classes throughout the year. Why should someone who has been riding a bicycle for many years want to take a bicycle education course? While you may not have ever taken a formal class in bicycle handling skills, it's difficult to imagine what you could learn from such a class. However, many people don't feel very safe riding with traffic, especially on busy main roads with higher speed limits. Even experienced cyclists can learn important bike handling skills by taking a bicycle skills course. Some people have never learned to ride a bicycle but want the freedom and exercise that comes with riding a bike. By taking a Learn to Ride course they can learn this skill in a matter of hours. Bicycle commuters can learn techniques for making their ride to work safer and more convenient by taking a bicycle commuting seminar. Skills classes are based on the League of American Bicyclists bicycle education program known as Smart Cycling. I provide individual and small group classes upon request. Contact us for more information. I teach a basic bicycle maintenance class that covers topics such as flat tire repair, brake and gear adjustments, basic lubrication and how to perform a safety check on your bike. Tools and equipment needed to work on your bike will be discussed. Contact me for more information. Also, bikes@vienna holds a class on the first Sunday of every month at bikes@vienna. I teach Bicycle Commuter Seminars. The class covers the following topics: 1. Why commute by bike? 2. Bikes and equipment, 3. Clothing strategies, 4. Finding the best route to work, 5. Safe riding techniques. Bike maps and bike commuting guides will be handed out in the class. Online resources will also be discussed: bike routing, bike organizations, events, and classes. Contact me for more information. 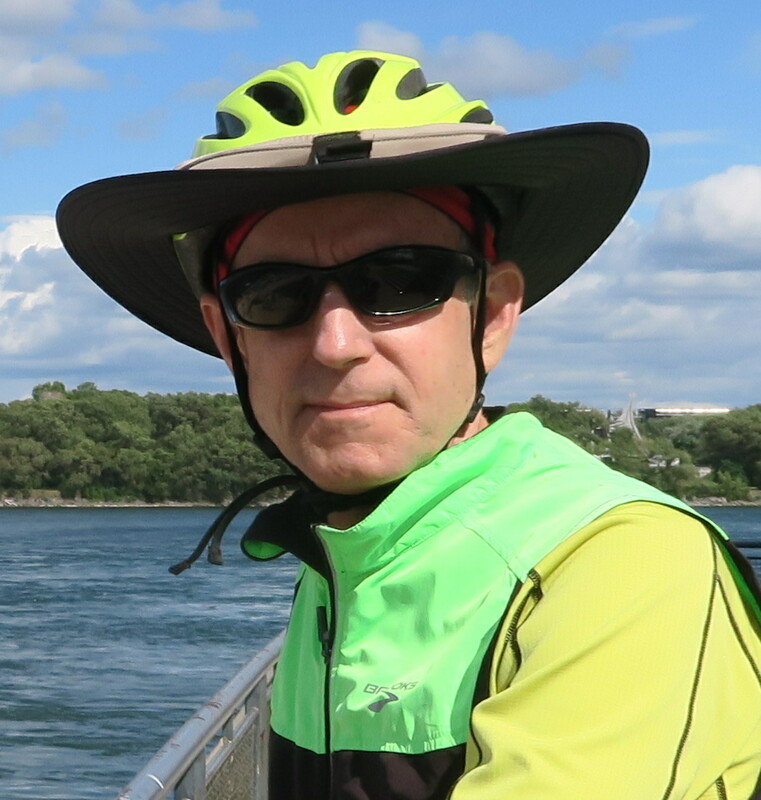 Bruce Wright is a bicycle instructor certified by the League of American Bicyclists. 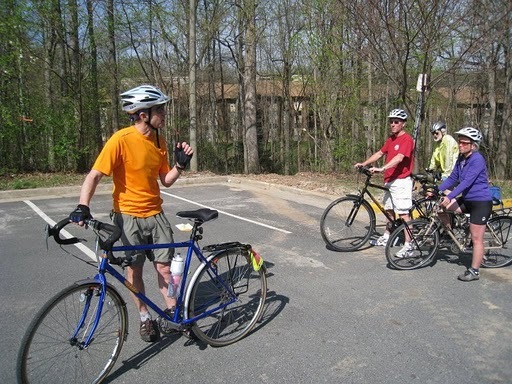 He has taught bicycle courses through the Washington Area Bicyclists Association, Fairfax County Adult and Community Education, Vienna Community Center, Reston Community Center, and elsewhere. He provides individual instruction in bicycle skills and provides instructions for children and adults who do not know how to ride a bicycle. See my LindedIn profile.